An essential consideration is that without an income from handicrafts, many Bolivian people would be forced to farm coco plantations instead – the plant use to produce cocaine. Handmade ponchos are popular. These are also functional clothing items for people in the Altiplano Region, where they rely on the items to keep warm when the temperatures drop. The bombin hat is another important item of clothing in Bolivia that is often sold to tourists. Most are made from felt nowadays, although in some areas they may still be made from rabbit fur. There are several textile producing communities that are particularly noted for their high quality products and designs. These include Tarabuco, Challa, Calcha, Callarmarca, Charazani, Sica Sica, Bolivar, Llallagua, Macha, and Sacaca. Llama and alpaca wool are common raw materials, spun to create threads that are then woven together. Tarabuco people ply the steep streets of La Paz, carrying baskets of textiles and looking for buyers. In some areas you can still find products that are dyed using the old ways. Natural dyes may include those made from flowers, leaves, bark, seeds, roots, cochineal beetles, and more. Good wooden carved products can be found in La Paz and Cochabamba. Wooden plaques depict soaring condors, towering mountains, native people, and other cultural symbols and images. Pottery continues to showcase local symbols and patterns. Some communities still use pre-Hispanic methods of making pottery. Ethnic jewellery is increasingly popular. Items may include stones, feathers, fish bones, leather, gold, silver, pewter, and animal teeth. In the festive period Christmas products are popular. These include hand carved nativity scenes, decorations for a Christmas tree and around the home, toys, and a wide range of gifts. Other handicrafts to look out for in Bolivia include rag dolls made from wools and fabrics, knitwear, wall hangings, belts, shawls, musical instruments, table runners, finger puppets, and items made from carved gourd. 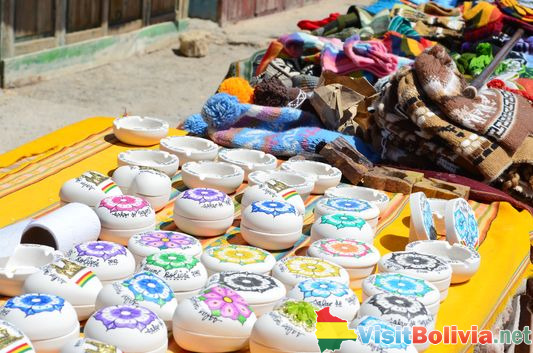 In almost all markets around Bolivia you will find some type of handicraft. 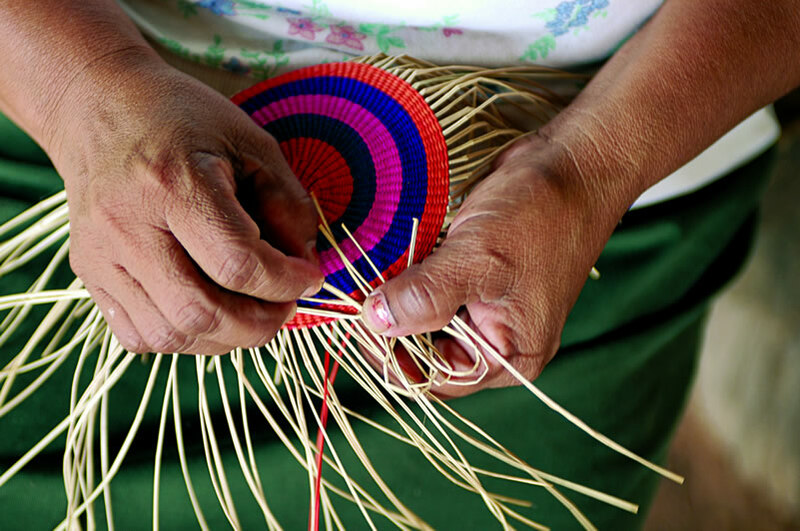 Of course, the internet helps everyone around the world to access fine traditional Bolivian handicrafts with ease. It is possible for all to own some lovingly and skilfully created items from this wonderful country without ever having set foot in the country.